Q. How do I locate a particular journal and see what full-text access the library has? 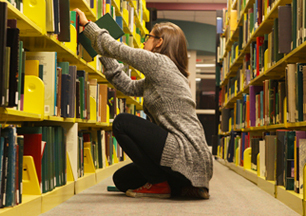 How can explore Ramsey Library's journal collection? 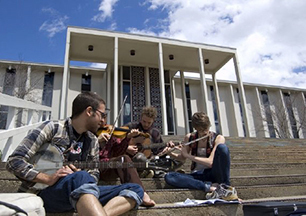 Use the 'Journal Finder' search on our homepage (library.unca.edu). This search also works for magazines, and newspapers. Listed on the journal catalog entry, you will find links if we have it online (some may be available only at ASU or WCU*) and call numbers and locations if we have it in print. Check the location for print journals. They may be found in rin 'Popular Magazines,' 'Newspapers,' (both on Main Floor) or our 'Current and Bound Journals' (Lower Level). 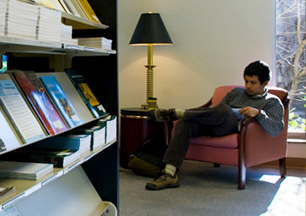 Print journals available at ASU or WCU may be requested via ABC Express. Need to find journals in a particular subject? You can browse online journals by subject or search subject-specific article databases (use 'All Subjects' dropdown options). If you find an article you need but it is not available in full-text in our collection, please use Interlibrary Loan to request it. 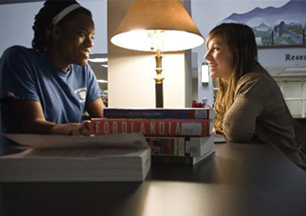 Ramsey Library is the vital center of the pursuit of knowledge at UNC Asheville - inspiring intellectual curiosity, partnering in scholarly endeavors, anticipating information and service needs, exceeding expectations and embodying the university's highest aims.